We have the personnel and skills required to support your trials, test and integration team, from something as simple as a technical packing exercise to sea survival ‘wet’ drills. From Personal Survival Equipment through to Multi-Person Survival Systems – our expert staff are able to provide you with information, training and trials support services. Our team of experts have the benefit of over 150 years of combined experience, in the military air environment through to commercial and leisure sectors, frequently working in diverse locations throughout the world. Whether your requirements are on land, in the air, or at sea, we can offer advice and expert knowledge on maintenance activities, setting up workshop facilities, technical document and maintenance manual use. To ensure the equipment manufactured is capable of carrying out the role it has been designed for requires rigorous testing to prevent failures, to help meet customer requirements but more importantly, to save lives. Our staff are able to assist in the testing and evaluation process from maintenance through to end-user trials. Our offering is backed up with robust reporting and supporting documentation to ensure that the process is smooth and efficient. 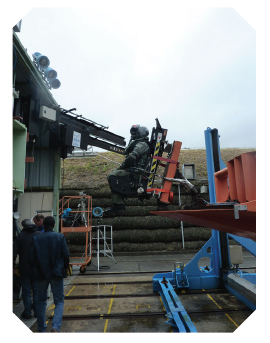 We have provided support to Survival Equipment manufacturers and we have conducted high-speed wind blast trials, land dragging tests, wet drill trials, technical packing support and safety case assessments during product development. When your product is ready to roll out and everything is in place, we are there to assist in the onward support of your product ensuring your customer is able to receive continual support throughout the life of the product. With experience in supporting a global network of customers, we are able to offer direct support to designers, manufacturers and users of Survival Equipment and Pilot Flight Equipment. If you want to find out more, download our SME brochure here, or contact us by using the form below.